Coding toys for kids have now entered this mainstream. Let's take a look at what's new for 2017. We'll start with products that have been newly announced at CES and then update throughout Toy Fair season and the later announcements that appear throughout the year. 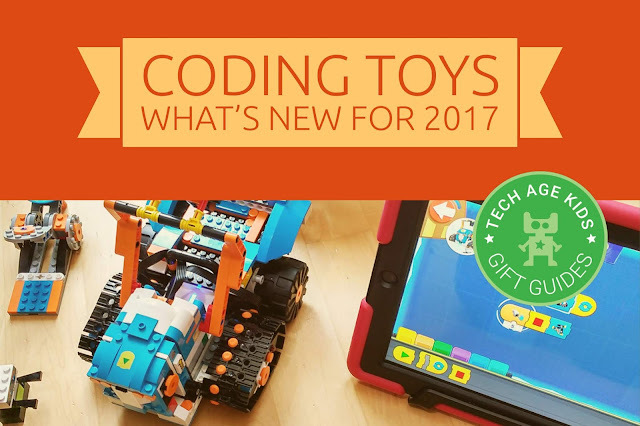 Some of these products won't be available to buy until later in 2017 (or even later) so if you're looking to buy a coding toy, check out our Coding Toys for 2016 post from last year. Those products are still new, some of them very new. 2016 was the year when coding toys for kids really took off so there are some great options. 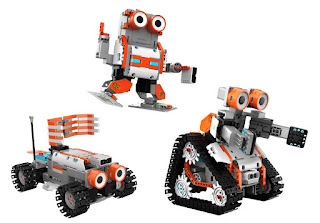 Also, check out our guide to programmable robots for kids. If you're looking for age-specific coding toys, check out our Coding Toys page. Find the latest Coding Toys for 2018. The big news in coding toys for 2017 is that LEGO have announced LEGO Boost, a programmable robotics kit for children aged 7+. This is a big deal! The LEGO Boost 17101 Creative Toolbox is a kit that allows young kids to build and program motorized LEGO robots and models. LEGO Boost is due for release in August 2017 and is likely to be a very popular Christmas gift. Update: LEGO Boost is now available to pre-order for an August 1st release. We've written a detailed overview of LEGO Boost which cover the features of the product and how it compares to other products in the LEGO range. Sphero have released two new programmable droids for Force Friday. BB-9E is a spherical droid similar to BB-8, but has dark colours. It's expected to appear in the upcoming Last Jedi movie. R2-D2 is a detailed droid with biped and tripod modes and loads of features. Both robots are programmable in the Apple Swift Playgrounds app and will be supported in Sphero EDU in the fall. Another new addition to the Sphero range for 2017 is the Sphero Mini, a smaller and more affordable programmable robot ball. Sphero Mini is the size of a ping pong ball. The Sphero Mini retails for $49.99. It comes in a range of appealing bright colours which we really love - they'll appeal to girls as well as boys which is refreshing in a market that's typically overly boy-friendly. The Sphero Mini can be used as a games controller with fun games, controlled via a driving app and also programmed with Sphero EDU. The Sphero Mini manages to be entertaining enough to be appreciated as a gift while also being educational. Osmo is an educational gaming system that combines tablet apps with physical pieces that are viewed by the tablet camera. We've previously written about Osmo and in particular Osmo Coding. 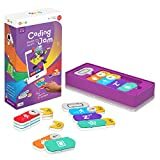 The new game for 2017 is Osmo Coding Jam which is a music coding game using the Osmo system. Osmo Coding Jam is due to launch on June 15th 2017. Hasbro have announced two new programmable toys in time for the New York Toy Fair. 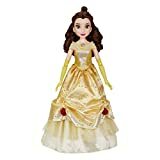 First there's the Disney Princess Dance Code Belle Doll which ties in with the new Disney Beauty and the Beast live action movie with Emma Watson. Belle will support block-based coding via an app so that children from age 5+ can choreograph routines for her. Dance Code Belle is available to preorder and due for release on November 1st in the US and UK. 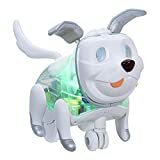 Then there's the FurReal Makers Proto Max Pet, a tech pet dog that can be customized though coding routines in the accompanying app. Max is for age 6+. You can see the electronics inside Max which is neat. 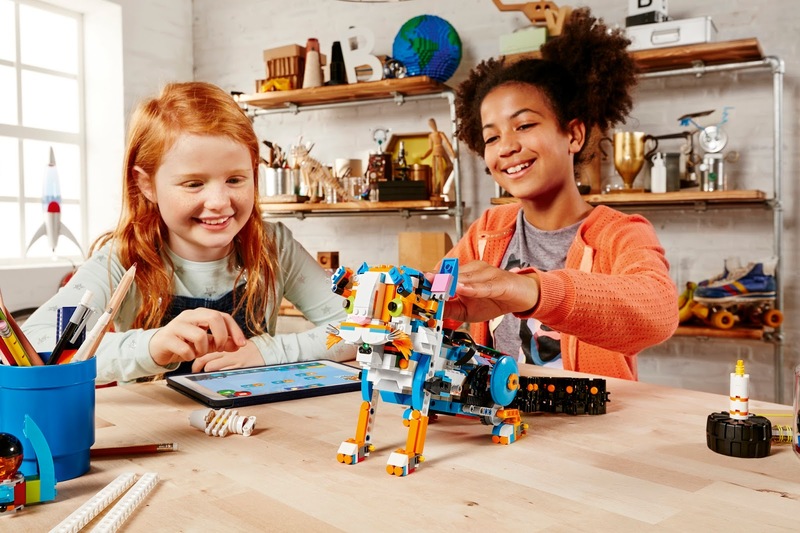 It's great to see mainstream brands recognising that kids and parents want programmable toys. Kids love being able to decide what their toys do and parents love the useful skills they can develop through play. FurReal Proto Max is available to preorder and is due for release on November 1st in the US and UK. We got to meet SpinMaster's new Meccano M.A.X. Robot and MeccaSpider at the London Toy Fair. M.A.X. is an advanced robot which uses A.I. and is programmable. M.A.X. is aimed at children aged 10+. Last year, WowWee brought out Coji, a cute robot and app that teaches kids from age 4 to program using Emojis. This year WowWee have collaborated with Sesame Workshop to build a Sesame Street Elmo themed version of the robot called Elmoji! Elmoji and his custom app will teach kids coding and other thinking skills. Last year UBTech introduced the Jimu range of robotics sets for children that allow them to build and program cool robots, vehicles and animals. They introduced the TankBot (above) late last year and have now announced the new LionBot and upcoming KarBot kits. LionBot will be an Apple.com exclusive and is designed to tie in with Chinese New Year celebrations. KarBot is Jimu's first robot on wheels and will be able to follow lines and avoid obstacles. Update: UBTech have announced the Jimu AstroBot, a space-themed robot that allows kids to build three models: "humanoid, anthropomorphic wheeled vehicle and treaded mobile robot". We're big fans of board games here at Tech Age Kids, especially ones from ThinkFun. This year they released 3 new games with a Coding theme. 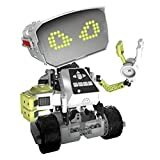 All three games, On the Brink, Rover Control, Robot Repair, help you develop computational and logical thinking skills which are essential for learning to code. Sometimes a screenless activity is a good idea! The games are in a series and increase in difficulty. If you're new to coding start with On the Brink and if you want something more advanced, then Robot Repair is the one for you. littleBits is well-known for creating brilliant kits and toys for kits to explore coding and electronics. The Droid kit is new for 2017 and is app-enabled for building instructions and programming. The kit is aimed at 6+ and will appeal to Star Wars and robot fans. The kit comes with everything you need to build R2D2 and then complete dozens on missions. The Dot Creativity Kit brings together tech and craft, something we love at Tech Age Kids. The kit contains the same cute Dot programmable robot but it's green! You also get lots of different templates and ideas to make physical things for Dot. Read our full hands-on review of the Dot Creativity Kit. The XYZrobot Diver is an Edutainment robot which kids will be able to control from an iOS or Android app and also program using Scratch a popular graphical coding language which many kids will be familiar with. Despite the name, the diver is not a swimming robot, it's a floor robot. The Diver is shaped like a deep sea diver, with batteries instead of air tanks, and has an LED matrix face. It can move around and is equipped with sensors and a camera. The Scratch coding looks particularly interesting. The XYZrobot Diver is already available to buy direct for $199 plus tax and shipping. We first heard about Sony KOOV last year, and they were back at CES this year having won a Good Design Gold Award in 2016 and saying that they will be releasing a product soon. Update: KOOV is available in Japan from Feb 18th 2017. KOOV combines electronics with translucent building blocks to teach kids about coding, robotics and design thinking. Like several other robotics kits, KOOV has a central box programmable from an app and you can plug in additional input and output modules. We love the bright fresh colours and cool looking models. KUBO is an educational robot for children aged 4+ which aims to teach 21st century skills and get kids off to an early start with tech fluency. KUBO teaches young children to code using tangible 'TagTiles' which KUBO drives over and reads. Update: KUBO just launched their online store. Robohero is a new walking and balancing robot from TTRobotix. You can control Robohero from an app and run pre-configured moves such as dancing and exercise moves. Robohero is also compatible with the Arduino Coding IDE which is commonly used by beginner and hobbyist roboticists.